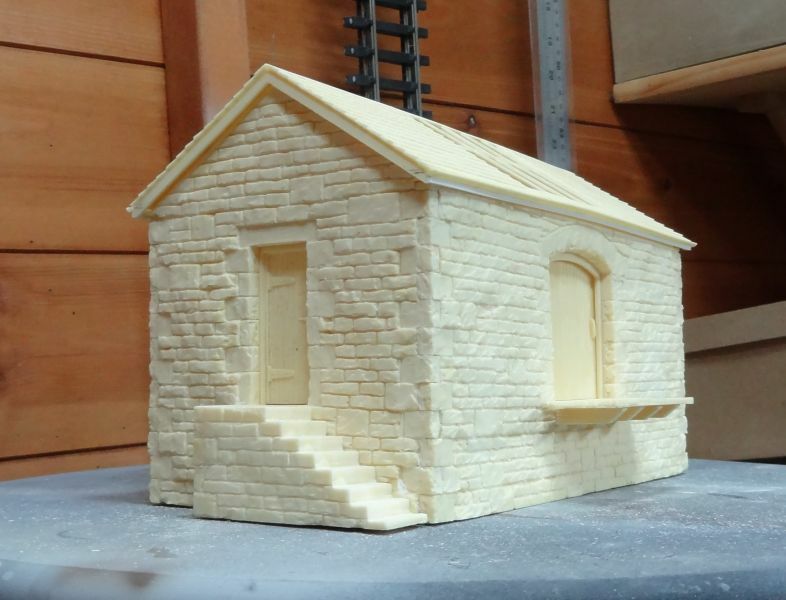 Having enjoyed building the Station Building it really should have something to keep it company. 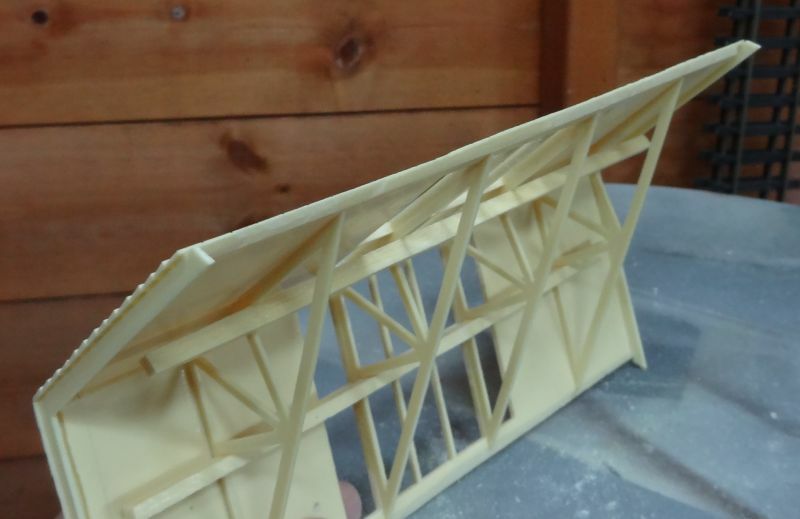 This time I`m going to be using 99.9% of the resin kit but fine tuning the entire roof section to look more finescale in appearance as well as matching up to the station structure. 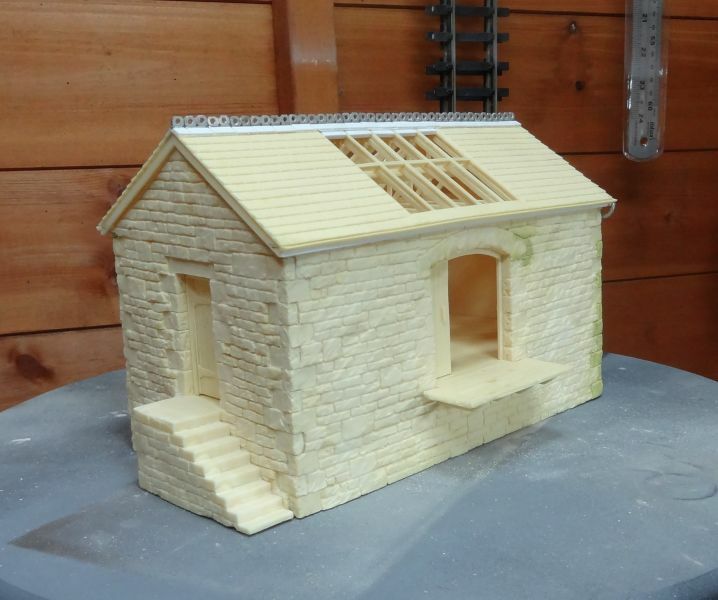 As before,I have engraved the stonework again prior to assembling the main shed walls. One of the end castings seemed to be on the soft side and was also bowed outwards. 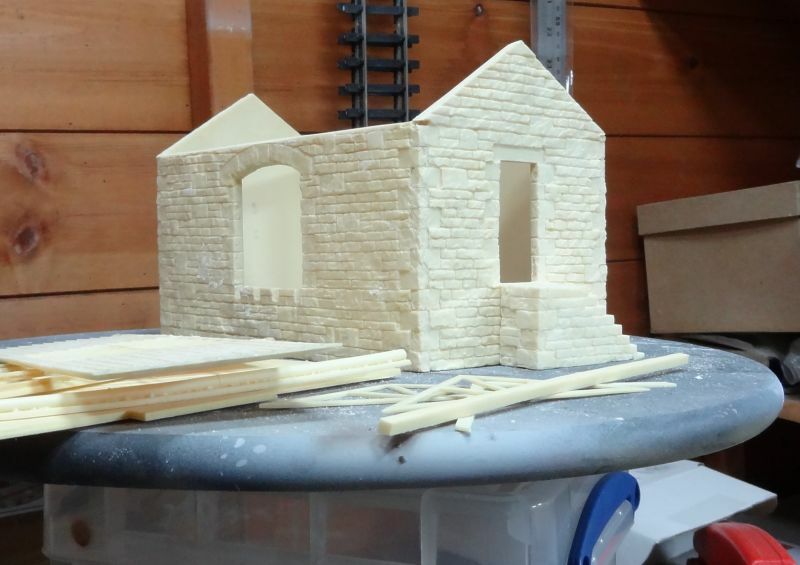 I used Gorrilla superglue gel to assemble the main building parts after much fettling.. 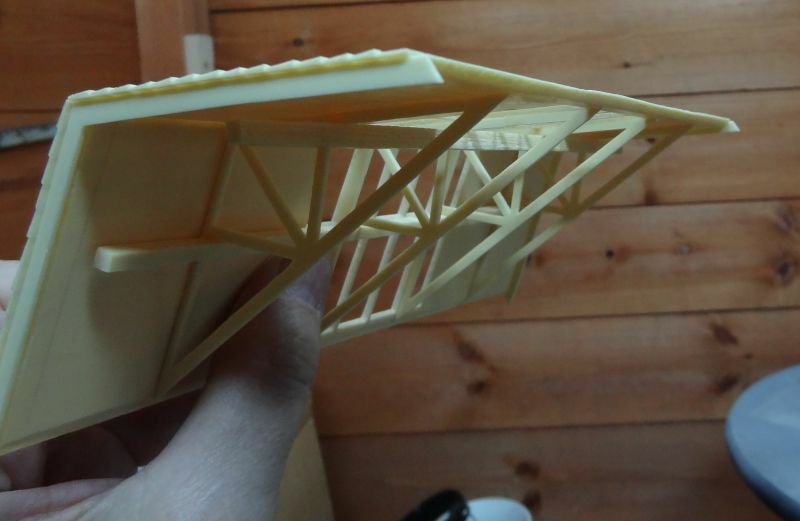 In my opinion, the roof kit design has too much of an overhang so I set about reducing the overall size quite considerably. 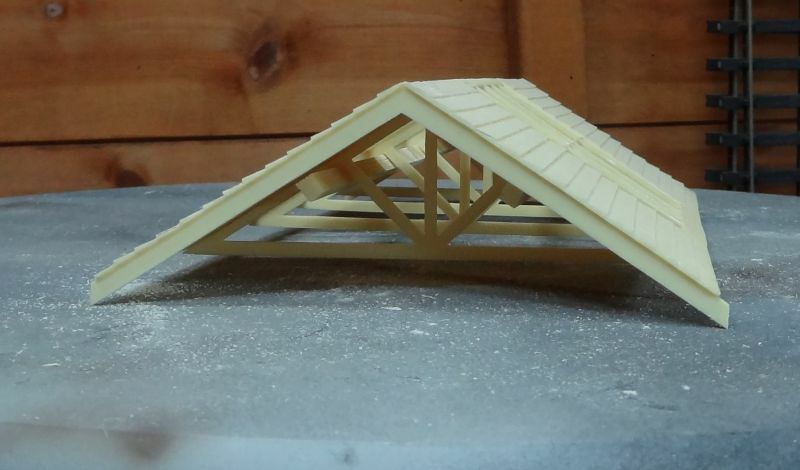 This was made difficult as the roof has a skylight which needed some consideration. 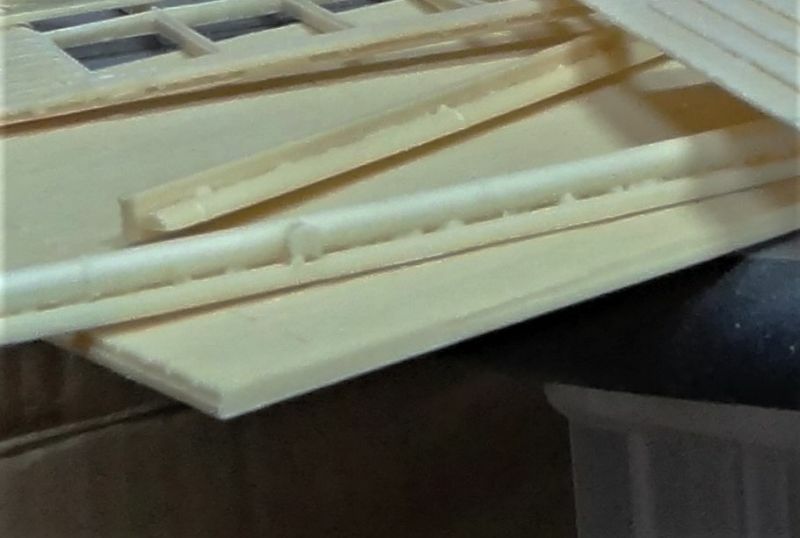 I also wanted to disguise the thickness of the roof moulding to give a much finer profile and this I did by `feathering` all visible edges to make them look thinner. 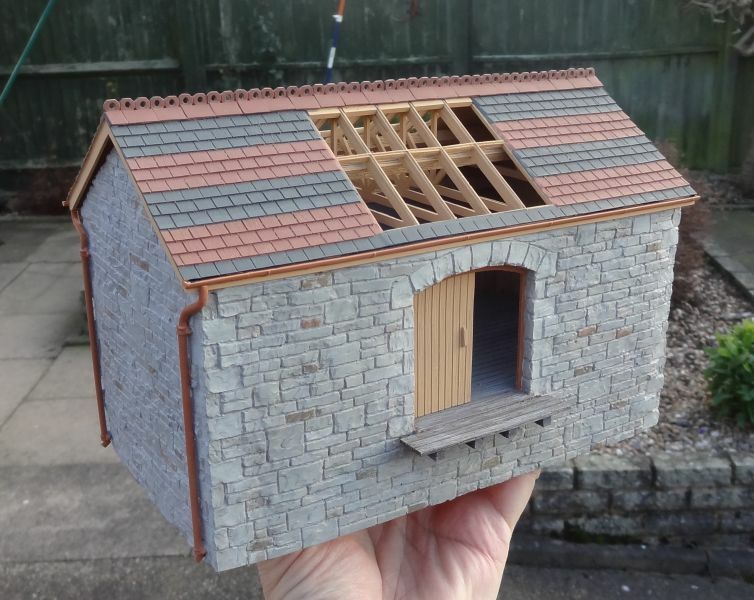 ....but these had to be de-constructed for me to use just the guttering in a closer finer position in relation to the roof tiles. I then fitted a new fascia from Evergreen plastic strip. The remainder of the modifications were quite simple. 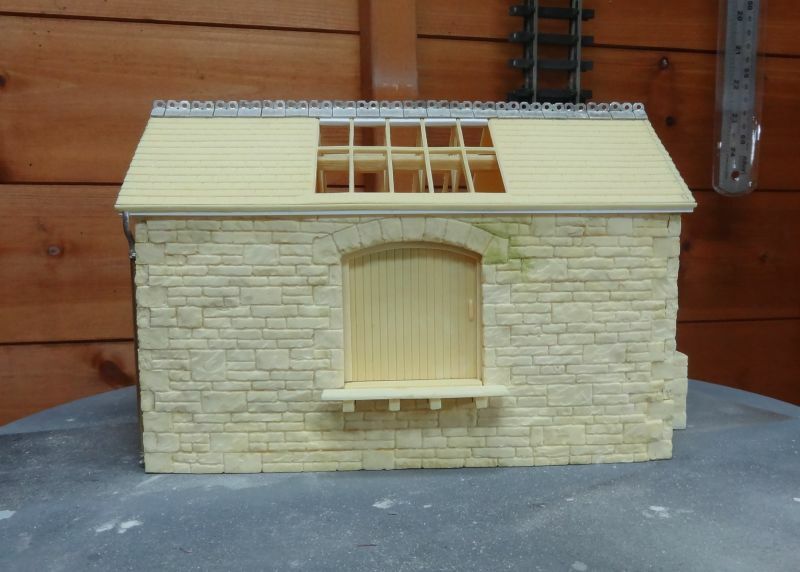 I fitted the same roof capping to match the station and tidied up the roof skylight. 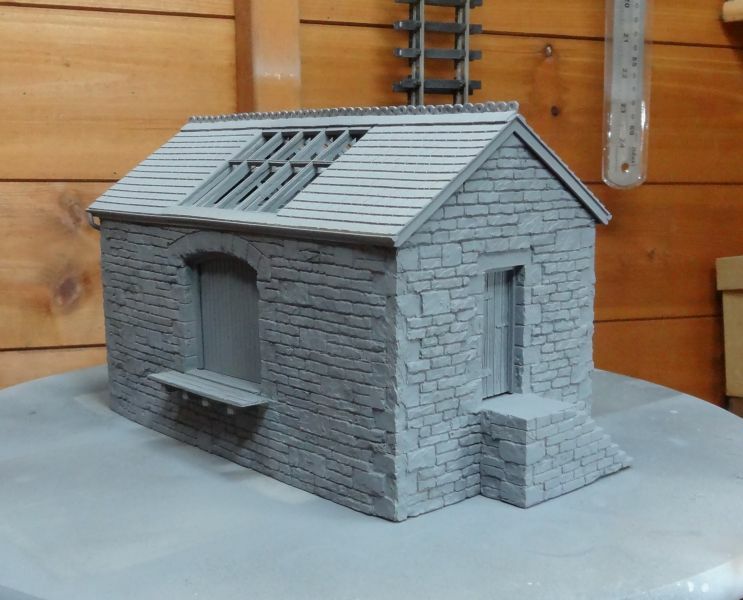 The next item was to fit new drainpipes to the end of the building as in the prototype. 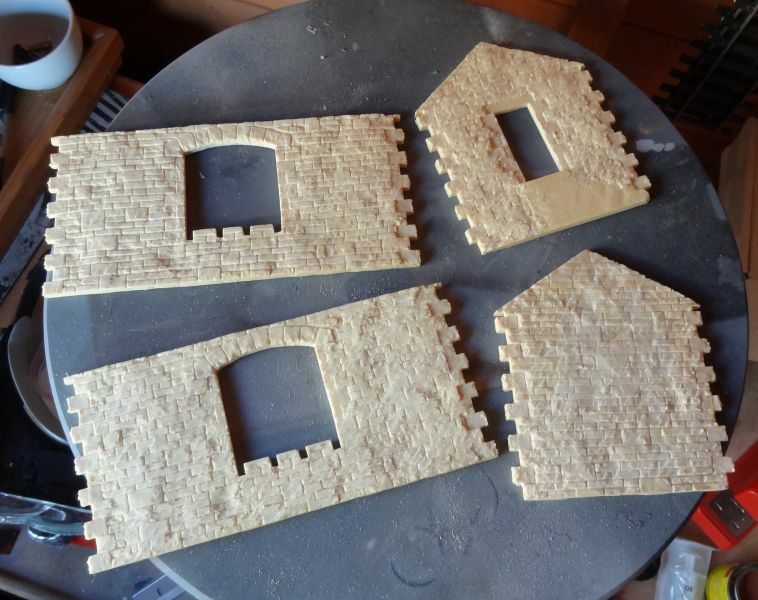 The the final task has been to Milliput all of my corrective stonework . 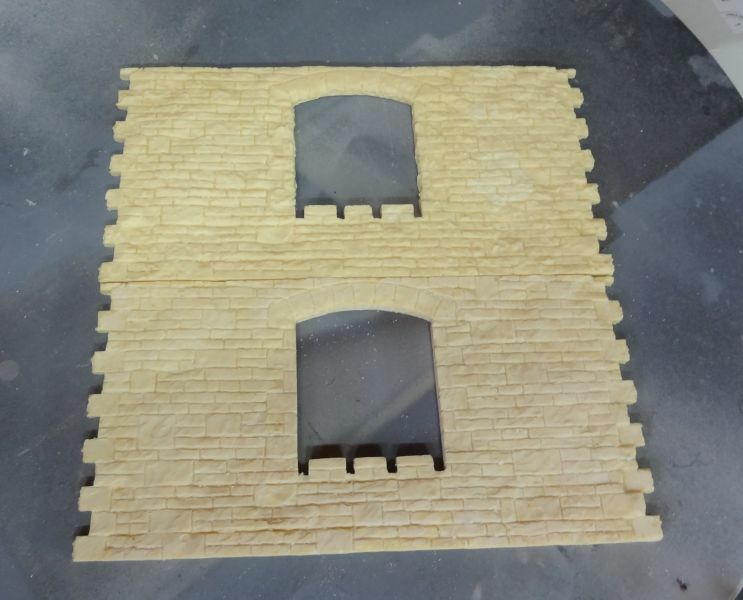 Another fine construction. 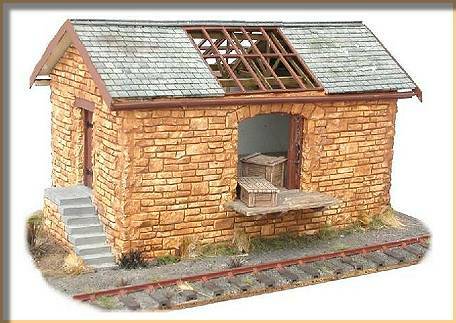 It looks wonderful: I love those ridge tiles. 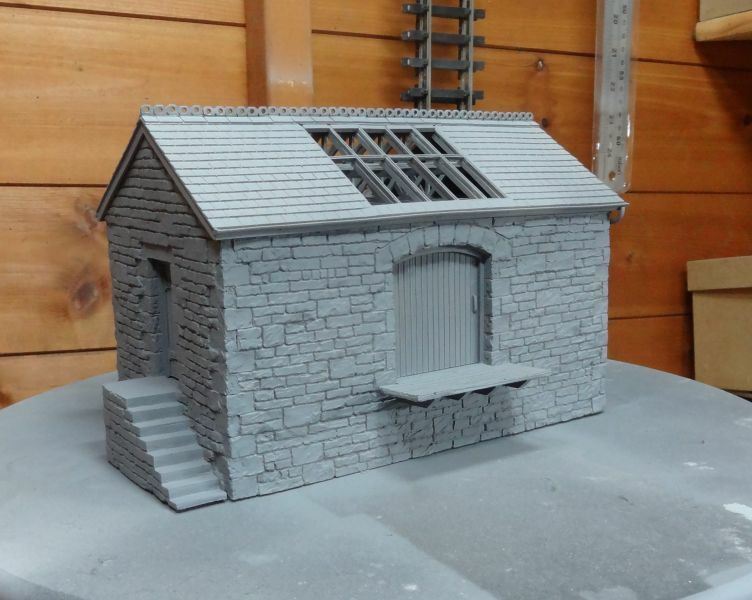 Look forward to seeing it all painted and in location. Here it is in it`s almost final condition. 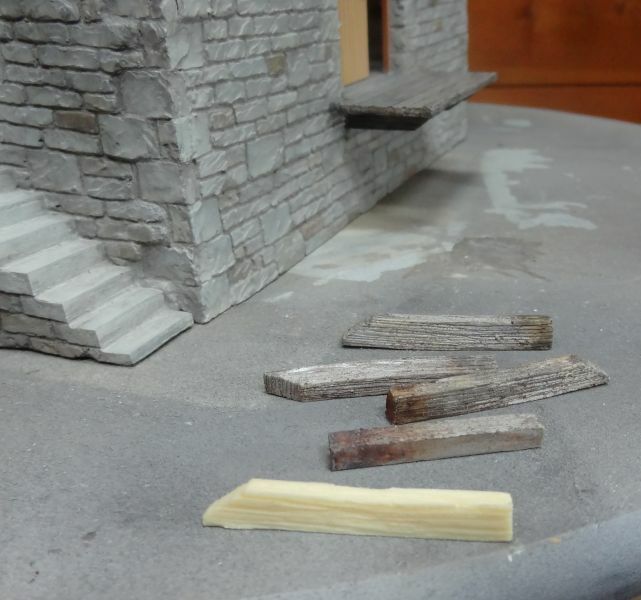 I spent a bit of time using Acrylic paints to change the resin castings into weathered wood. I had considered Vallejo Acrylics from their weathering set but in the end mixed my own . Excellent job very well done John. 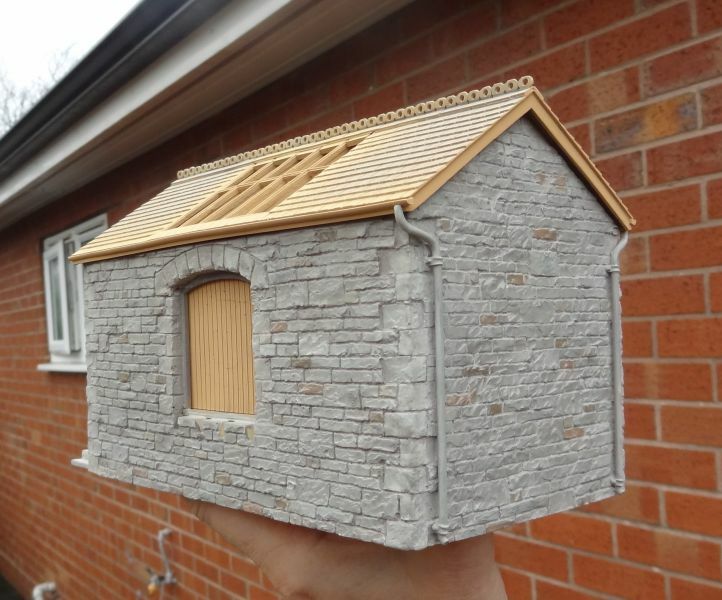 It's going to look a treat with weathering powders. It depends Kevin how you feel about making compromises in your modelling projects. If you look hard enough most of our Big Four Railway companies had similar style buildings. 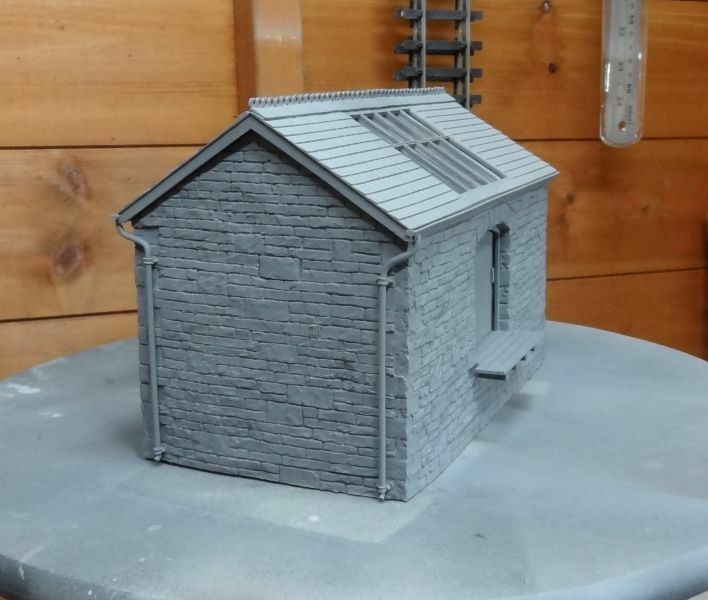 To me, the main differences between each of them are the style and shape of details like window frames, station valences, signal box window styles, and station lamp posts and platform furniture. And of course, the Railway company building liveries. 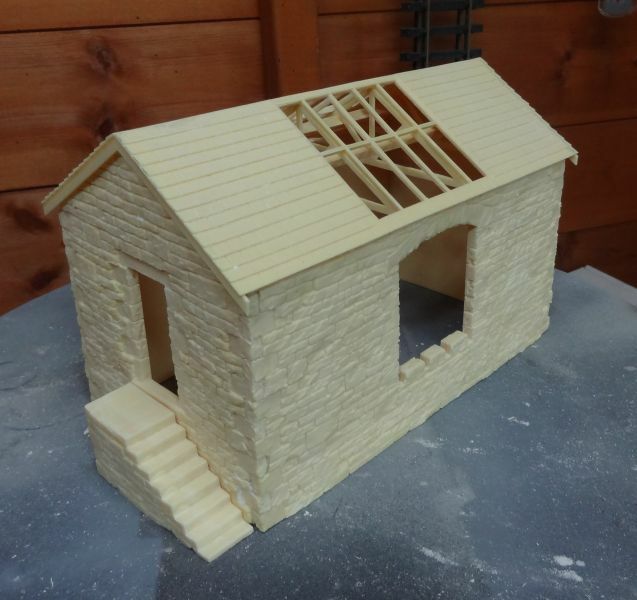 I`ve always been a great follower of modifying building kits to suit my own needs. 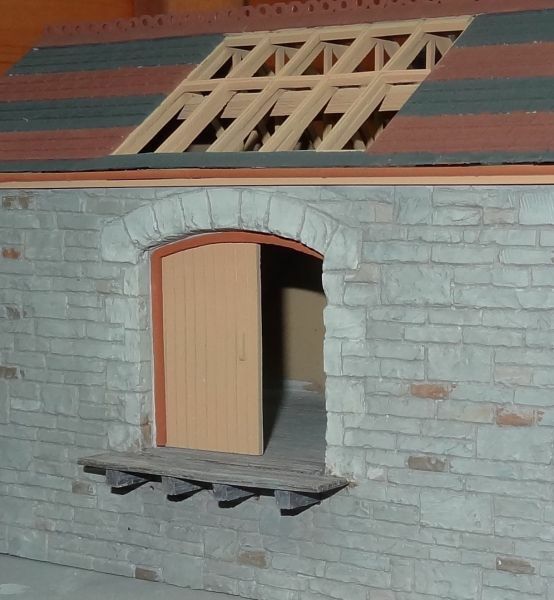 You are here: Your Model Railway Club > Getting You Started. > The Lineside. 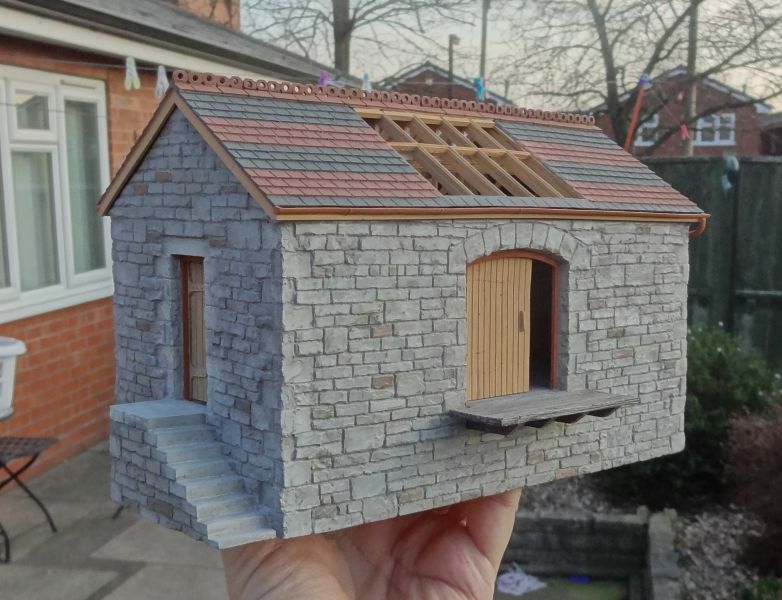 > Buildings > Another William Clarke style building. 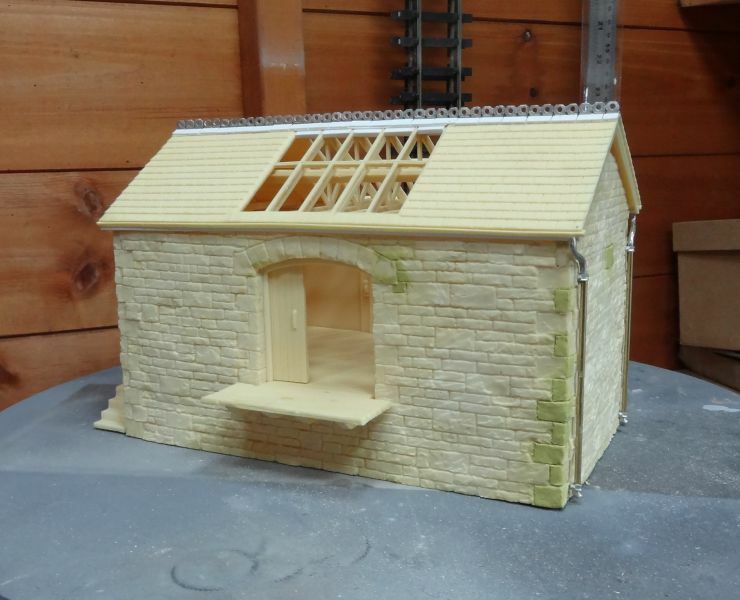 A Goods Shed.